In development since 2016, Sound Imaging’s Bi-Directional MRI Wireless Communication system provides much needed MRI scan room communication freedom. The standard communication has always been between the MRI operator and patient via low quality, fixed speakers in the MRI bore. The systems headsets can be worn by the patient in the MRI bore to communicate with support staff and/or to listen to high quality music. 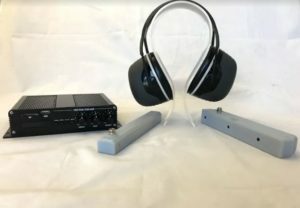 More importantly, the wireless headsets can be worn by support staff/relatives in the MRI room allowing constant, mobile communication with support staff/relatives outside the MRI room. Sound Imaging’s Bi-Directional MRI Wireless system – the high quality MRI communication freedom that the MRI suite deserves. THE BI-DIRECTIONAL BENEFITS ALL STAFF AND PATIENTS.